Celebrating an anniversary? 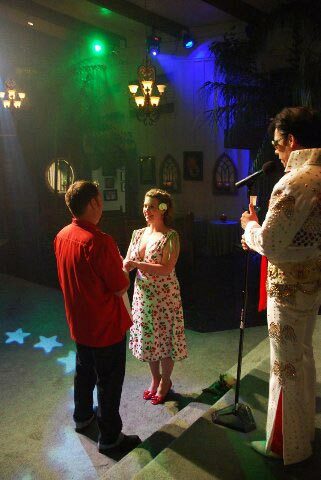 A wedding vow renewal in Las Vegas is the perfect way to commemorate a 10th, 25th or even Golden Anniversary! We can even arrange for a surprise renewal, which we've done many times, planning in cahoots with the grown children of parents for their 35th or 50th wedding anniversary. As you make all the arrangements with us at Viva Las Vegas Weddings, you'll experience professional and courteous service from our highly-trained staff. We'll make sure to get every detail right for this special occasion, from flowers to transportation to music. We offer the most choices in Las Vegas for fun and romantic vow renewal and commitment ceremonies, and we'll cheerfully help with all aspects of your decision-making process. 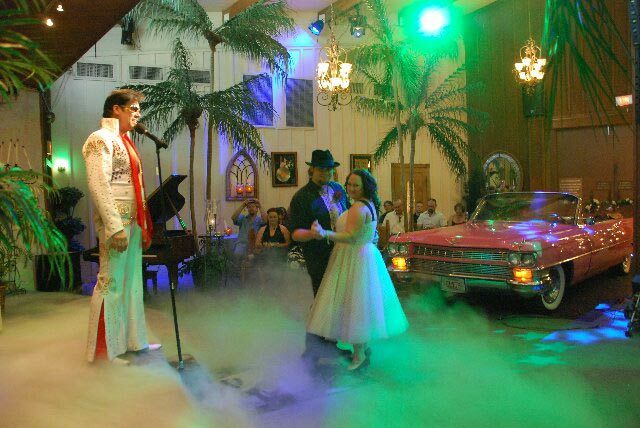 Check out Las Vegas wedding video samples of our elegant traditional ceremonies and our fantastic themed and Elvis wedding packages.